We are here to help your marketing budget go further without compromise. We continually invest in technology to improve upon our quality, production efficiency and turnaround times. Any cost saving is passed onto our customers which allows us to offer incredibly competitive prices. Our ambition is to be the best print and online design company, so we invest heavily in technology and software development to ensure faster turnaround times, sharper pricing and higher quality. We predominantly serve Design Agencies, SME’s, print buyers, local authorities and large corporate businesses. 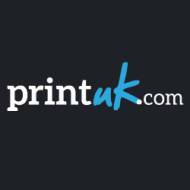 Our website and business is designed to help businesses promote themselves cheaply and easily through print and for larger customers to help stretch those limited marketing budgets. We accomplish this by providing easy to personalise design agency quality templates accompanied with cheap high quality printing. We believe that well designed, high quality print, delivered into the right hands on time has and will continue to have an important role in the marketing mix. PrintUK.com is here to help achieve that aim. That's our promise.